Spring is an ideal time for upgrading the look and feel of your home. But with so many interior designers in Seattle, how do you know which is best for your project? For years, Soleil By Design has handled all aspects of the custom home design process. We understand that your vision and lifestyle is probably much different than a neighbor’s. That’s why our team takes a customized approach to every project. Of course, it goes beyond color and concept to create a functional, beautiful environment. Keep reading to learn more about modern home design from Soleil. Whether you’re interested in bathroom makeovers or a luxury kitchen design, you can count on Soleil to get the job done right the first time. Here’s the thing: we have developed a long list of clients who continue to use our services and refer us to family and friends. 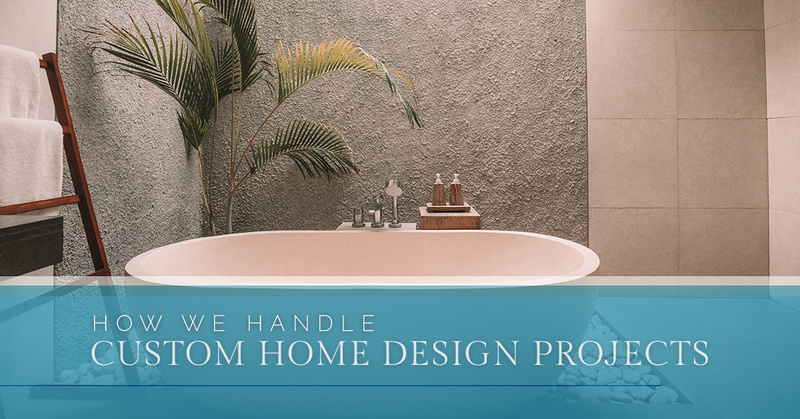 So what exactly sets us apart from other home design companies? Let’s start with the fact that we have an extensive background in construction practices. Our team knows the ins and outs of installation methods, building materials, finish details, and much more. Such knowledge allows us to provide unmatched results with aesthetic, yet practical solutions that exceed the homeowner’s expectations. Are you interested in a contemporary kitchen or living room? At Soleil By Design, we won’t simply take a “cookie-cutter” or “one-size-fits-all” approach and move on to the next project. Something else that makes our firm different is that we work to understand what works in your home and what doesn’t. Plus, there’s no need to worry about us trying to upsell you on things you don’t really need. Ultimately, we want to know how you and your family are going to use the space. Once we have that information, our team goes to work coming up with a solution that’s tailored to you. Why settle for a generic design? We combine reliability and practicality with unparalleled knowledge and innate talent. The result is a space that the entire family will love. Now that you have a better idea about our experience and how we can put it to work for you, what’s the next step? First, we will listen to what exactly you’re looking for in the project. From there, we use our networking resources to make sure the design can be built and stay within your budget. Our team at Soleil even provides detailed drawings and specifications that are construction-ready. When the time comes, we can work with your contractor or provide recommendations. It’s time to put that tax refund to work. From luxury bathrooms and modern kitchens to everything in between, Soleil is here for you. Contact us today to begin your project.